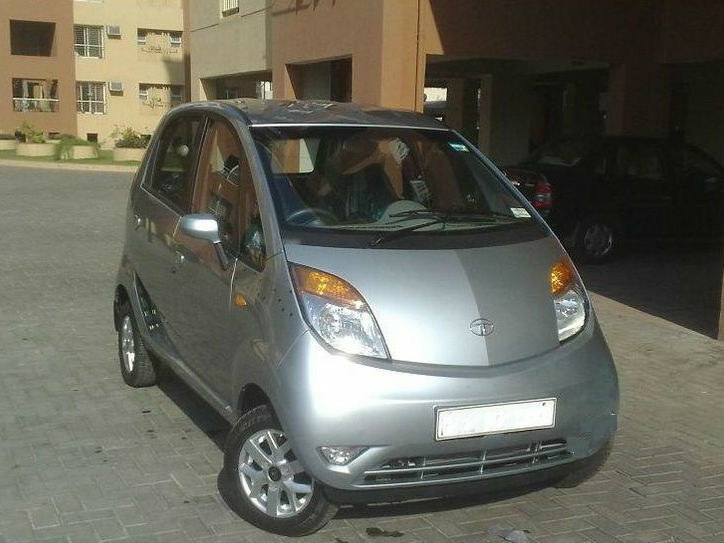 Tata Nano has done quite well in the Indian market with customers who are looking for cars with a low price tag and also have a low cost of maintenance. 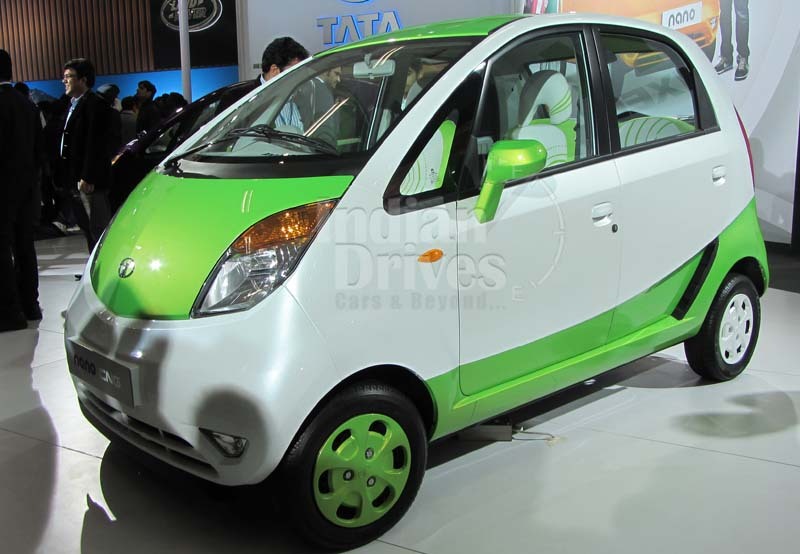 Tata Motors is considering the fact of launching a diesel variant of Nano in the Indian market. The car is said to have been in the works from 2010 and has already reached the advanced developmental stage. Looking at the changes that have taken place in the market, the prices of diesel and petrol variants are almost negligible with the diesel cars having higher demand. Recent trends have shown that the petrol prices have risen by only 4.5 percent while the diesel costs have soared by 30 percent. 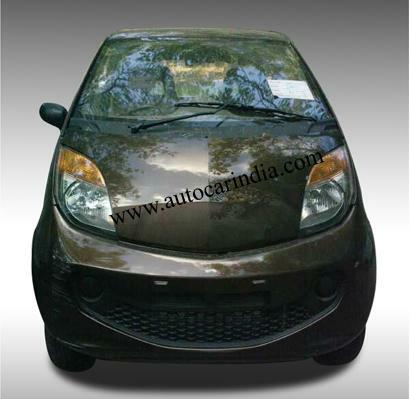 The Tata Nano has been developed with 3-cylinder and 2-cylinder engine, but the company has not yet declared as to which one they would like to launch in the market. While Tata Motors is planning to take out the diesel variant, the diesel engine is turning out to be expensive as a result of which the price of the car would eventually rise, disappointing the customers who are looking for low cost cars. 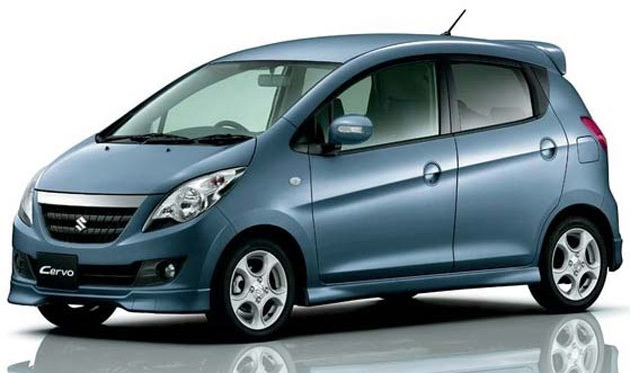 The company has also launched the CNG variant of the car at Rs.2.5 lakhs. The economy offered by the CNG variant is quite competitive to that offered by the diesel variant, and it surely has a lower running cost than that of the petrol variant. This weakens the case of the new diesel variant that the company will be launching. As a result, the car will not be showcased at the Delhi Auto Expo. Tata is very much famous for the unconventional traits, and believably it had succeeded in many of the paths using same. Nano from the stable of this carmaker is one such example, and hence is quite famous for the initial tagging of ‘Rs. 1 lakh car’. Though, it wasn’t costing that much at the time of roll out, but perception of Ratan Tata for making this vehicle was conducted to same while putting it down on the drawing board. 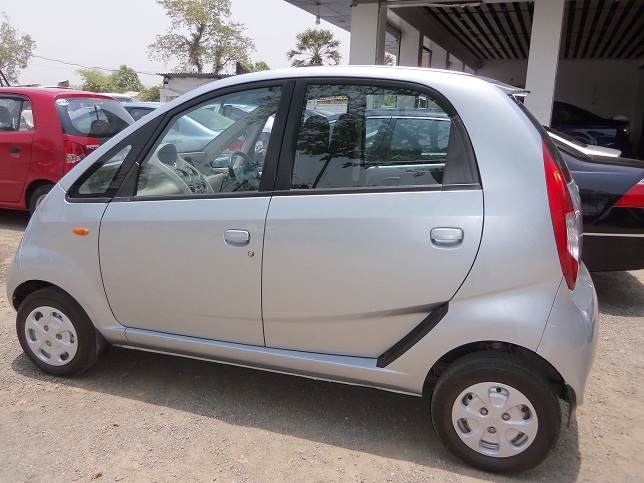 Due to the various issues that have cropped during the setup of a new plant for Nano, price of the world’s cheapest vehicle was almost raised by an additional 50% at the time of launch. Moreover to the prices, Tata too was compelled to make compromises on the quality, and as a result had deployed fiber body instead of steel, because of the risen input cost and the tremendous delay in launch dates. Postponed launching had also played spoilsport for avoiding the depletion of craving fanfare. Debuted in 2009, and almost four years till date, Nano is still running successfully on Indian roads. It too had grabbed the title of world’s cheapest car when launched. But it still not had achieved the perception of a fully fledged bug in India. The ongoing struggle in market is now bringing some positive results to the desk of Tata officials. For some it maybe an auto rickshaw bunched with an added wheel, but engineers at R&D had worked day and night to make it a clear of piece of car from every angle. It was then again reworked in ‘2012’ and a new version was rolled out with more refinements during the same year. Losing out the dream for an expensive price tag of Rs. 1,40,000 on the launch date, now one can buy Tata Nano for an expected (i.e. near about) price of Rs. 1,00,000 in the ‘Used Car Segment’. In actual, Indian carmaker hadn’t achieved the tag of ‘world’s cheapest car’ on Nano at the time of roll out, but as said in the used car arena it is now been respected to that specific proverb very aggressively. Compact dimensions, enough of interior space, and the peppy engine, makes Nano worth giving a preference when buying a new/used car. Though it did not have all those glamour and lavishing factors, which the other car of this segment has, but it has practicality at the most to cover all the cons of those stylish boffins on a stubborn platform. Top-of-line version of Nano was gulped down with the power windows and AC initially; this was the only trim in market which was considered more than others while looking out for the particular badge. At that time it had summed up the tagging of Rs. 2 lakh but hopefully we can say, automaker had succeeded in selling this particular trim in spite of lugging the high necked price tag. Well, after failing to reach the desired number in other of the variants, Tata then putted Nano under the claims of 4 year/60,000 km warranty. This now sweetens the tea for world’s cheapest vehicle in new as well as used car segment. Used car plethora is benefitted in the way as, vehicles which were produced even in the earlier days of production still falls under the criteria of company’s official warranty. There maybe some of the exceptional cases, but most of them tend to be in the cover of warranty itself. Here we say do go for the warranty, don’t settle yourself for less price tag in the trade off against expired warranty period. Nano is enormously boasted of compact dimension which is good enough for driving in the city; whereas one can also drive it on highway very efficiently but we did not suggest you to take a long stretch on those open lanes. 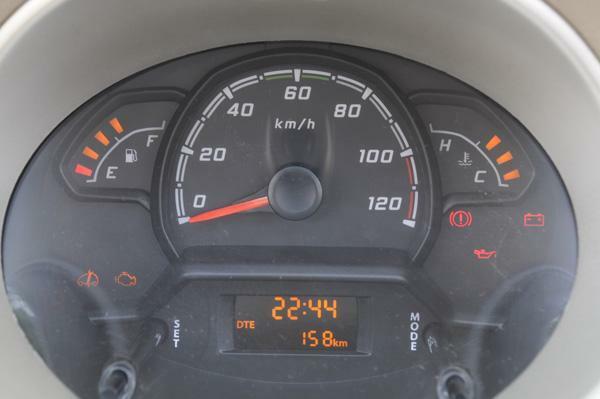 Maximum, Nano can cruise safely at the speed of 80-85 kmph on highways, whereas the official acclamation says a top notch of 106 kmph is possible on the same badge. Powered with 624cc petrol motor, Nano is quite good for the 35-37 bhp output and is complementing enough to return efficiency of 14.5 to 19.5m kmpl respectively to the drives of cities and highways. Space too is cranked sufficiently for the four seats with all comfort possibilities. Comparing both of the Nano against each other, i.e. pre and post 2012 models, new one is a whole lot of refinements. There were some serious lackings in the old generation. However, newbie was tweaked cosmetically but the things that refinements now hold are like comfortable seating arrangement, better driving experience and many more bits replaced here and there, which are generous in nature. That’s not all; Ace card is still under cover which we are going to reveal now. One may be thinking why we had thought of putting Nano in the used car segment, is it worth buying? To your answer we say “Yes”. The ace card that we had spoken above is the “Maintenance Cost”. We hope, in spite of being world’s cheapest car, Tata had not kept any provision to earn huge profits from its spare parts industry. Spares too are slated the cheapest against any of the given segment. Adding once again, 4year/60,000 kms warranty is also there to beef you up in the tempting corner of saved money so ‘just buy and drive’ is the mantra here for Nano. Tyre are the ones that gets worn out after every 18,000 kms, too early than expected, and the new ones will not pinch you harder than the sum of Rs. 2,200 each. Even punting at the clutch overhaul, it will not be as tough as the Rs. 1,600 replacement cost. We must say, the hatchbacks must be feeling ashamed while looking at the spares costing of Nano. There too the electrical dysfunctions are reported, but hopefully Tata Motors is there to look after it, as had been given down a long cover of stretched out warranty. Let’s inform you one more thing; our sources have claimed that, starter motor had been announced for a recall on the models produced in between 2009-2010, tempting for the replacement of same. It was found breaking down every now and then due to fewer loads bearing capacity. Now the carmaker had replaced it with a heavy-duty one so no more complaint is been founded in the further strata. Check for the service history whether the car has attended recall or not. Owing to the small 25Ah battery, some owners had also came in running with the complaints regarding, battery losing its potency earlier than the expected time. We tell you, the organization had ordered it keeping in mind the standard fitments, and not the aftermarket bought accessories. So if one puts down the highly charged music system and other such comforts on it then it is for sure that the battery is going to run out much before than the expected duration. We also term, don’t avoid embedding those additions on your personalized Nano, but be ready to give in the battery replacement as soon as it gets over. It costs a mere Rs. 3,000 only, we hope it’s not a big issue on the pockets if had bought some exclusive aftermarket material to accessorize the car. Apart from the mentioned drawbacks, Tata Nano is worth buying a one in the used car segment. Low maintenance cost and a subtle day to day running-expenditure makes it pocket friendly for every person in India who can own a bike. Making a bike owner to switch from his two-wheeled to the four-wheeled was the actual marketing strategy of Tata Motors, which is the only core intention of Ratan Tata when he thought of Nano in his mindset while looking at a couple with two children who were getting drenched in the rains on scooter. And we see, he had succeeded in the same, but though it is a different matter that sales number aren’t proving it rightly. Hopefully, upcoming Nano diesel will definitely fill in the gaps that are now left wide opened in the ‘mileage’ preferring country, lest of the effective buyout cost. Hence, it’s being a compacted aerodynamics so the bike owners need not to worry about niggling in and out of the tight corners. A handy yet the efficient buyout punch, suits better for Nano. 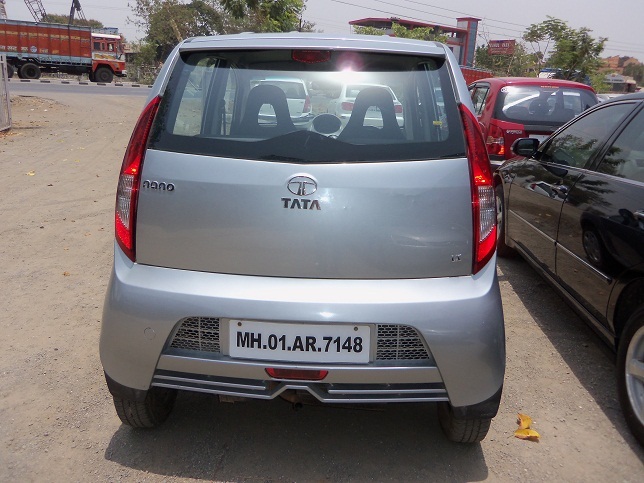 As per repots, auto giant Tata Motors is working on an 800cc edition of the Nano, which is likely to hit the markets in the coming year (2013). The news of the world’s cheapest car being equipped with a more potent 800cc engine is a step on the accurate path. The report also stated that the vehicle will be shortly obtaining an innovative heart and even diesel motor is being considered. The small vehicle hasn’t been able to start-off in a stylish manner and last month statistics are more disturbing than ever as the car sale facts hit a new low with 3,500 vehicle units only as compared to a set objective of ten thousand vehicle units. Known faces with the growth project stated that renovated vehicle will make way by 2013 end and it would be valued near Rs 2.5 lakh. Market professionals said that the challenge of integrating diesel engine would absolutely hold the declining sale figures of the vehicle, however, the brand positioning of the world’s cheapest car in the brains of client could serve a restraint. But, the company has no plans to put an end to the fading 624cc engine in the vehicle. There are automobile experts that disbelief the triumph of the Tata Nano alteration in the market widely reigned by international cars. During the past week, Tata Motors Group Chairman Mr. Ratan Tata stated that the vehicle is not doing well and this is owing to the fact that firm was not capable of endorsing the vehicle it should have done. Listing the matters he stated initially ‘The People’s Vehicle’ lost the drive due to a range of concerns like facility repositioning and sub-advertising operation. 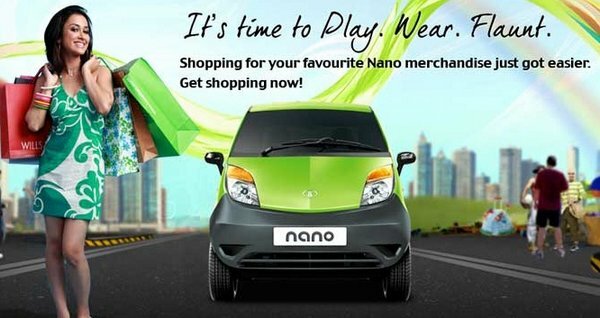 Tata Nano revealed its Nano Merchandise online store on eBay. This will be the first time any car brand will be selling its merchandise over Ebay.in. On the occasion of the launch of the online store, head of Nano product group, Ms. Delna Avari said that DNA of Tata Nano is something that have been never thought before and it will continue to imitate in the entire product range. 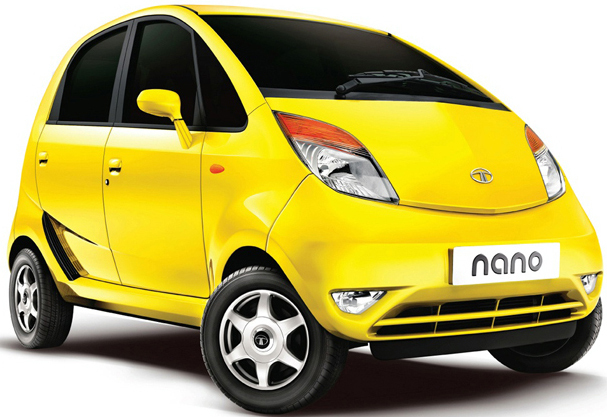 The Nano brand is quite active online and it was also one of the first Indian cars that were booked online. He also added that the Facebook fan page of the Tata Nano has over 1.6 million fans. The firm is taking Tata Nano marketing to a next level with this initiative. She also said that Tata Nano is one personal mobility option that appeals to everyone. eBay has quite good reach over metro, tier 1 and tier II cities, and this initiative is likely to help Nano to reach out a larger fan base across the country. The Nano online store houses Nano branded Titan watches and T-shirts for both men and women. It also contains electronics and accessories like Nano shaped pen drives, caps, mouse, scale models and other exciting merchandises. 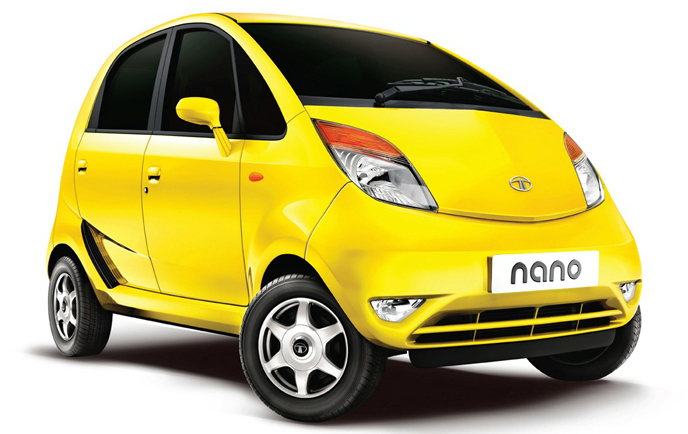 Tata Nano will also be conducting online polls along all Nano fans. Fans can vote for their favorite merchandise and can also win it too. With the Nano merchandise store opened online, Nano fans will be able to buy their own piece of memorabilia of Tata Nano in just a few seconds. So now the people’s car will be featured in thousands of short films as Tata has kicked off the Nano short film competition across the globe. Via the competition, they are urging all the eager film makers across the world to make a film and the shortlisted candidates will then be given a Nano each which they would have to include in their films. This is an interesting subject whom the company has taken and ever since Nano hit the market, Tata has always come across innovative ways of promoting the car. The film makers have the liberty to make the movie on any topic of their choice and it is not mandatory that the story should be centralized around Tata Nano only. But the car should be there in most parts of the movie. Tata hopes to garner thousands of entries from all across the world and out of all those; they will be short-listing to only 12 contestants. These 12 contestants will be getting a Tata Nano each. Responses have started to pour in and Tata is enthusiastic about the outcome of this competition. Those 12 short-listed will be getting a Nano each and then will compete against each other. The selection criterion is pretty simple. Those who get short-listed amongst the 12 will be making their movies and will then be posting it online on YouTube upon which the two films which get the maximum response will then go to the final round. The prices that the auto major is offering are grand and thus there is a lot of hype circulating around. But before that, the participants must check out the Facebook page of Tata Nano for the details of the competition. All the instructions, rules and regulations, registration terms and procedures have already been updated on the page. Tata is encouraging more and more participants to turn up as this is a promising opportunity for budding film-makers. Tata Nano is considered as one of the most economical cars ever built and now is the time when Tata is planning to launch the diesel version of the car in the market. There are fair chances that the CNG version of the car will also be available for grabs but no news as such has surfaced lately. Tata is utterly enthusiastic with the way in which Nano won the hearts of the middle class people in India ever since it was launched 2 years ago at the Auto Expo 2010. Recently at the Auto Expo, Tata Motors showcased more variants of Nano which they promised to roll out when the right time comes. 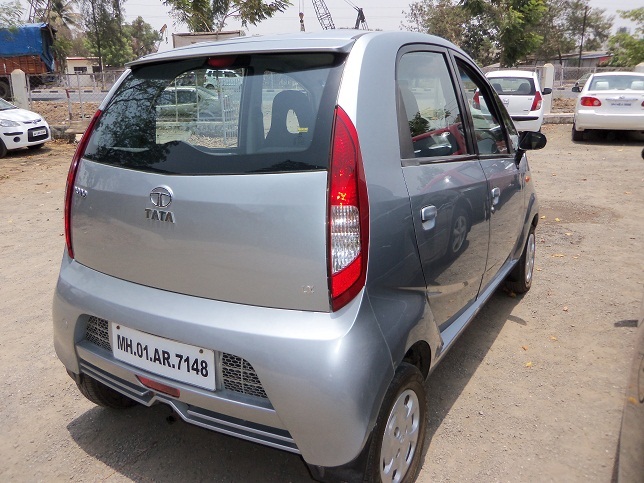 Owing to the increase in petrol prices to colossal extents, the demand for Tata Nano has increased over the past one year but this demand will be fulfilled only when the diesel version of the car is launched into the market. The prices of petrol have been burning a hole in the pocket of commuters and thus they are going for diesel cars over petrol cars. Driving is an ability that does not go away with age. A Kochi-based, 62-year old motoring enthusiast is out on a run showing there is no age limit to push the extra mile. Having said that, Thomas Chacko sets out on a 25,000 km, 80-day journey, driving in the 2012 Tata Nano. 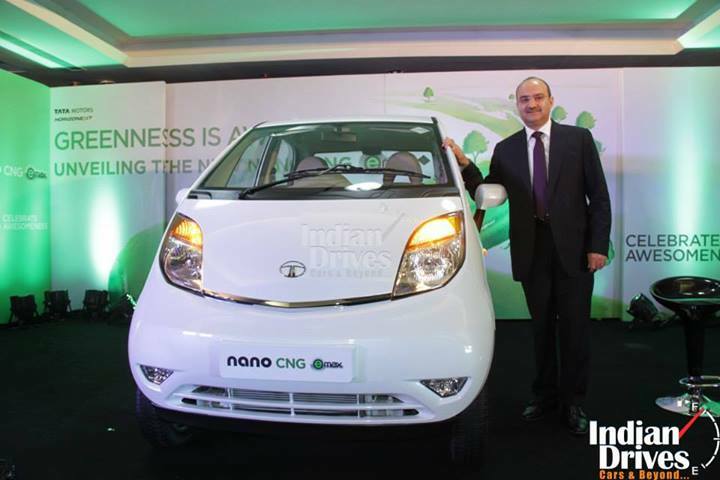 Tata introduced the more powerful, 624 cc gasoline engine powered Nano back in November 2011. The 38 PS power, 51Nm torque motor gives stunning fuel-efficiency of 25.4 kmpl as rated by the Automotive Research Association of India (ARAI). 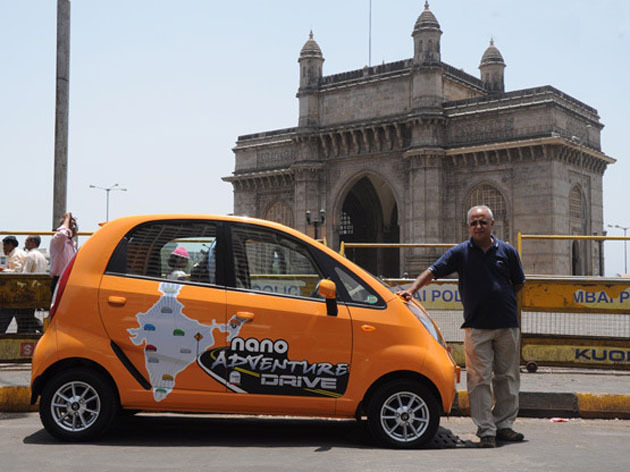 Though the Nano may not be the best on-off road vehicle in market, Chacko is confident about the expedition that is expected to conclude around July 20, 2012. The 62-year-old, Chacko is a FCS from the Institute of Company Secretaries of India, who has several motorsport events on his resume. A Formula One fanatic, the man has been to the Sepang, Singapore, and Monaco Grand Prix previously. Traveling the world, he has driven cars on different roads, including Canada, Malaysia, Oman, Singapore, Sri Lanka, the UAE, the UK & the USA. Chacko also has several articles published on motorsports.